Cinsault is a red-wine grape apparently originating in the Hérault area of the Languedoc-Roussillon region of France, though it could ultimately have come from farther away (the eastern Mediterranean). 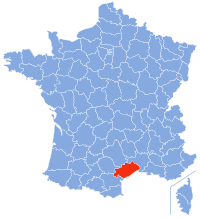 Nowadays, it is grown primarily (but not exclusively) in the Languedoc-Roussillon area of France, northern Africa (notably Algeria), South Africa, and the U.S. (particularly around Lodi). Its growth habit is such that it is especially well suited for hot, dry climates (hence its use in North Africa and even Lebanon). Cinsault wines tend to be quite fruit-forward, strongly aromatic, lightly tinted, and of medium body and weight: "pretty", as Jancis Robinson describes them. The usual taste descriptors involve the lighter-red berry family. It tends to be low in tannins, and is usually best drunk while young. Factoid: Cinsault was formerly known in South Africa as "Hermitage"; under that name, it became one of the two parent grapes (the other being Pinot Noir) of that country's now popular Pinotage varietal. 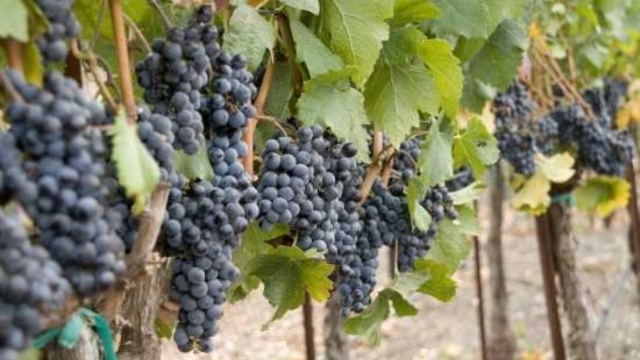 "Cinsaut or Cinsault is a red wine grape, whose heat tolerance and productivity make it important in Languedoc-Roussillon and the former French colonies of Algeria and Morocco. It is often blended with grapes such as Grenache and Carignan to add softness and bouquet." "Cinsaut (often spelled Cinsault) is a dark-skinned grape variety traditionally used as a blending partner for Grenache, Syrah and Mourvedre as part of the classic 'southern Rhone blend'. It is fairly unusual to see Cinsaut produced as a varietal wine, except as a rosé . . . Cinsaut vines have been grown for centuries in southern France, where it is one of the permitted minor grape varieties in the Chateauneuf-du-Pape blend. . . Cinsaut brings wines are generally low in tannin and generally used in blends for its perfume. It shares much in common with Grenache and at one time was grown for its generous yields. Light red berries are the most commonly associated flavor descriptors." "[T]his particular grape is posh, feminine, hearty and produces some awfully good single varietal wine, even if she very rarely given the chance to strut her stuff solo. . . Which is a shame, because she truly does make a remarkable wine on its own - soft, supple, richly perfumed, and highly feminine yet still exceptionally drinkable. It sometimes makes you wonder what the wine world has against Cinsault, why it continues to sell the grape short again and again. . . The very first thing you’re going to notice on a Cinsault is just how soft the wine is. It has a particularly velvety mouth feel and very little tannic pull to dry out your mouth. It is a feminine wine in just about every way, shape, and form. Flavor-wise, you’ll get the same strawberries from the nose, but also some slightly darker red fruits: raspberries, currents, and Bing cherries moving from red into black. In older Cinsault and those from more drought-ridden Mediterranean climates, the flavors may be completely different – drier, hardly any fruit, a much meatier, saltier flavor to the wine with a darker cocoa or coffee-esque aftertaste. But those are generally rarer exceptions. From the more Old-World style Cinsault, it will be bright, light red berries and super softness along the tongue and mouth." "Cinsaut is one of those 'grower' varieties that easily produces a very large crop of 6 to 10 tons per acre. At this crop level, it offers little sensory interest and imperceptible flavor distinction. So much cinsaut is overcropped and used as "filler" that it is difficult for many wine critics to issue it any respect. When properly managed to a crop load of just 2 to 4 tons per acre, it can produce quite flavorful wines with penetrating aroma and soft tannins, easily quaffable in their youth. . . Wine made from cinsaut grapes can be very aromatic with a vaporous perfume that assails the nostrils and supple texture that soothes the palate. Fairly low in tannin, it is often made into rosé by itself or blended, to brighten the fruit and tone down the harsher edges of carignan, in particular." "In other parts of the world, Cinsault is treated today mostly as a blending grape. But Cinsault can be tasted on its own terms, alone in a bottle of wine, most readily from California. The Bechthold Vineyard might be the oldest living planting of Cinsault on the planet, and it certainly is in North America. Cinsault's spice, reminiscent of peppercorn and cardamom, and its bright red fruit does well with grilled vegetables, or grilled light meats like pork and chicken. But the wine also loves the creamy, distinctive flavors of a mild Thai curry, or the fried dough and potato-love-fest of samosa. After all, the grape is a world traveler. It likes to complement foods of many cultures. " "Cinsault is also a charmer through its non-aggressive, soft, fruity aromas. The main notes encountered are peach, raspberry, gooseberry, pomegranate, strawberry and nectarine. By limiting Cinsault’s yield, wine growers obtain wonderful wines of great personality that are rich, full-bodied and lush. Behind its brilliant, rose-petal color lie fruity notes. Wines made from Cinsault are at their most seductive when young. They are lively and full-bodied on the palate. When blended with Grenache, the strength of Cinsault’s alcohol is tempered. When blended with Carignan, its [Carignan's] bitterness is attenuated. " "When growers work with the variety and reduce yields, Cinsaut delivers floral and ripe strawberry notes." "Cinsault is lighter in color than many of the other Rhone Varietals and in warmer temperatures can turn brick red not unlike Nebbiolo rather than the burgundy to purple color of most other Red wines. 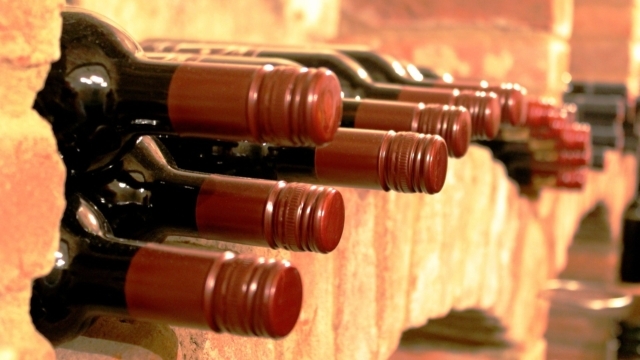 Its flavor, which is low in tannins, is often described as 'soft'. Cinsault is highly fragrant for a Red wine, which is why it is popular component in blends or added as a flavoring agent in Varietals. It's often made into a Rose wine. Because it is lighter in tannins, Cinsault is not suited for long bottle aging so it should be enjoyed between 5 and 7 years after vintage." "A high-yielding, early-ripening, hot-weather red grape, generally used in blends. Cinsault tends to be low in tannin, and is often added to blends to add a spicy component. Not often found as a varietal bottling." For those willing to go at least a little higher in price, say up to $25, and to take the trouble to seek out hard-to-find wines, some other names to look for are—in no special order—Frick Winery Dry Creek Valley Cinsaut, Turley Wine Cellars Bechtoldt Vineyard Cinsault, and Phoenix Ranch Bechthold Vineyard Cinsault. And you may see others at retail, too; if so, the word "Bechthold" on the lable is a good sign. ♦ [Google-translated from Dutch:] The result is a pleasant, fresh and fruity wine. In the nose red fruit and a hint of pepper. In the mouth we taste an abundance of red fruit tones, cherry, raspberry, cranberry with some pepper, mineral tones and some green vegetal tones. The finish is quite long. This is a fairly light wine with a high flavor intensity. An ideal lunch wine for example. ♦ The harmonisation of good food and wine is a central philosophy and this has led De Martino to harvest earlier in order to manage the alcohol level of their wines. This Cinsaut is a marvellous example of the developments and innovation currently taking place in Chile. This is cutting edge stuff and is what is making Chile so exciting at the moment…This is a single varietal old vine Cinsault. In Chile these grapes were planted many years ago…Today, many wineries are recognising the sheer class of still wine produced from these very old vines. These old vines from small estates to the South of the Chilean winelands are now very much sought after. ♦ [Google-translated from Portugese:] In the glass the wine presented a violet ruby ​​color of medium intensity with an excellent brightness and a beautiful transparency. Tears thin, fast, colorless and in great quantity. In the nose the wine showed aromas of fresh red fruits. In the mouth the wine showed a light to medium body, a good acidity and fine tannins. Retrogosto confirms the smell. End of medium duration. A wine that seemed simple, unpretentious but very pleasant and delicious, of those that the bottle goes easily. It seems to me that the wine does not undergo carbonic maceration but it reminded me a lot of beaujolais. I recommend. ♦ [The wine] is made with fruit from the Itata Valley, in Chile, harvested from cinsault vineyards which were planted in the 1950s and 1960s. It is juicy and bright, with distinctly peppery flavours of raspberry, plums and strawberry. This is a red to drink while it is still young, with or without food. ♦ [Google-translated from Spanish:] As the cinsault variety does not give much acidity in hot conditions, De Martino sought the freshness of the Itata valley, the ideal grapes for vinification, and found them in a vineyard in the interior dryland of Coelemu, Guarilihue area, at 22 Kilometers from the sea. The wine was fermented with native yeasts and kept in steel ponds for seven months before bottling. It is alive red violet, intense nose, with notes of red, floral and geranium leaves. In the mouth is juicy and very fresh. 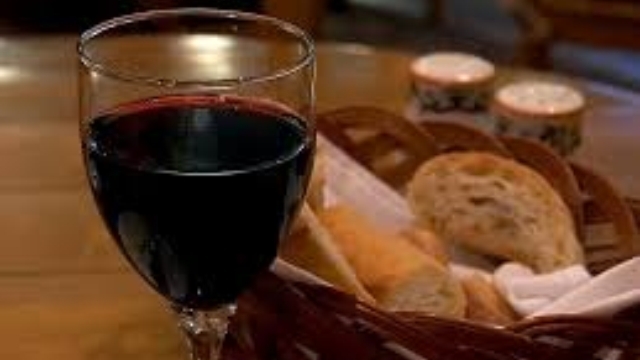 ♦ It is pretty bloomin’ delicious, from Chile and a spicy hot pot of deep red fruits. Did I sense a floral lift in the spice? Yes I think so. ♦ [W]e both thought [this wine] was totally exquisite and good value. ♦ [T]here is nothing predictable about the style of this wine. As its name suggests, this Cinsault is made for drinking chilled - in fact, their website specifies 14 °C - and it works brilliantly at this temperature. Cinsault gets a bad rap for being tough and rustic, but this version displays no such ugliness. Rather, it is pale in colour, medium-bodied and with dainty tannins that stay perfectly smooth at cooler temperatures. A perfectly pretty duckling. It also has an attractive, un-confected fruit flavour and a properly dry, savoury finish. The palate is generously complex - I wrote down floral, liquorice, aniseed and pepper in my tasting note - with modern, ripe fruit…Genres in wine are very well established, and rarely does something step out of these boundaries really succesfully. To achieve that with a much-maligned grape is even more admirable. This seems very much like a wine from the heart - as do several other Waterkloof wines. ♦ Spontaneous whole-bunch fermentation and maturation lasting nine months in used 600-litre French oak barrels, the nose is wonderfully expressive with notes of cherry, raspberry and cranberry plus olive, earth and scrub. There’s plenty of concentrated fruit on the palate despite an alcohol by volume of just 12.5% while the acidity is moderate and the tannins powdery. Our bottle was empty all too quickly. 91 points. ♦ During the hot months many of us still like to enjoy a glass or two of red but would perhaps, rather look towards a lighter style. A favourite of mine is the Cinsault from their Seriously Cool range and perfect for a hot summer’s day and slightly chilled…The wine offers a lively, plum colour with subtle aromas of vibrant red berry fruit with hints of wild spice. The medium bodied palate offers silky red cherry and ripe strawberry flavour entwined with balanced fruit acid and soft tannins. ♦ Perfect for foods with a bit of spice, the Cinsault 2014…is "seriously" intended for being served "cool" (around 14°C) and has remarkable floral, fruit and spice intensity despite its relatively "light" appearance. ♦ The Seriously Cool Cinsault 2012 purrs with a vibrant, violet hue and exudes soft, fruity strawberry and cherry nuances whilst it pleases with a particularly velvety mouth feel and very little tannic pull. If you love Burgundy you will love this wine. ♦ While you can’t go wrong when buying any of the Waterkloof wines, a firm favourite is Waterkloof’s Seriously Cool Cinsault 2014. It is produced from 40 year old Helderberg bush vines, which gives it a smooth mouth feel with plenty of spice on the palate – we finished bottles from the 2013 and 2014 vintage during lunch at the farm, and were even hinting for more. ♦ A dry and sleek red wine with forward yet cozy fruit, a faint suggestion of spice and a surprisingly long finish. ♦ Truly old vine - Michael David's dry-farmed, head-trained 127 year old vineyard showcases the Cinsault grape in all of its fruit-driven glory. Lighter in style, medium in body, and easy on the tannin, the Ancient Vine Cinsault brings well-ripened, red fruit-forward wine brings an understated elegance to the glass with pretty aromatics and choice cherry fruit. ♦ Once in a while some very cool stuff sneaks in. The Michael and David Winery's 2010 Ancient Vine Cinsault is exactly that. What a beauty! The nose is black cherry fruit with tar underpinnings. The mild mouth is layered in cherry, wood, spice and delicious lingering depth. There are lots of facets here. It reminds me of a great Cotes du Rhone with pinot noir overtones. Cinsault is not your everyday varietal, and it is rarely seen on its own. ♦ This marks a real departure for Michael David, a producer that tends to make its wines big and bold. This soft, hardly oaked, lightly tannic Cinsault is from a very special old vineyard. With a smooth texture and a core of red cherry and cranberry flavors, it is light-bodied and very floral. 88 points. 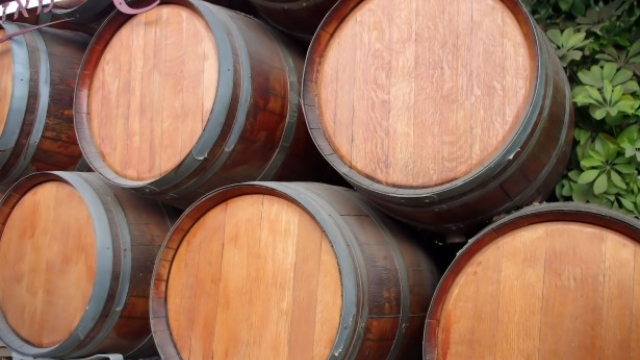 ♦ You just don’t see cinsault bottled by itself – even in France it’s a blending grape. But the vineyards for this wine were planted in 1875 and managed to dodge the phylloxera plague because root louses don’t like sandy loam soil. Over the years, the grapes were sold to other winemakers, including Helen Turley. It’s a stunner with cranberry and cherry flavors, fine tannins and a dash of spice. ♦ Michael David's 2009 Ancient vine cinsault, from the leased Bechthold vineyard, is medium to full bodied, with sweetly refined red cherry notes with black pepper and spice. This wine is fresh, simple and honest. Retailing at $20, it is well worth the price. ♦ Really light but packed with flavor. Some raspberry, a little blueberry, and a little herb at the end. Good acidity. Probably could’ve used a few more years to calm down a little but felt very lively. Really liked it and kind of perfect for a light fall wine. ♦ The 2011 Michael David Winery Ancient Vine Cinsault was a revelation. This smooth, light-bodied wine starts out softly on the palate, with red cherry and cranberry fruit, and a light oak accent, and builds on the finish to a surprising depth of flavor. This wine is made with fruit from 128-year-old vineyards, Lodi’s oldest producing vineyard, and some of the oldest Cinsault vines in the world. It channels the intensity of old vine beautifully, at $20 a bottle. ♦ This wine is light ruby red in color to pink at the rim. On the nose it has explosive aromas of pomegranates, cranberries, watermelon and cherry jubilee. On the palate it is medium bodied, with crisp acidity and a hint of herbs and anise on the finish. The general profile of this wine is not typical for this varietal as it is almost rosé-like and could undoubtedly be enjoyed slightly chilled. There seem few or no Cinsaults receiving materially higher acclaim or ratings than those on the list above. Splurge by buying one of each.